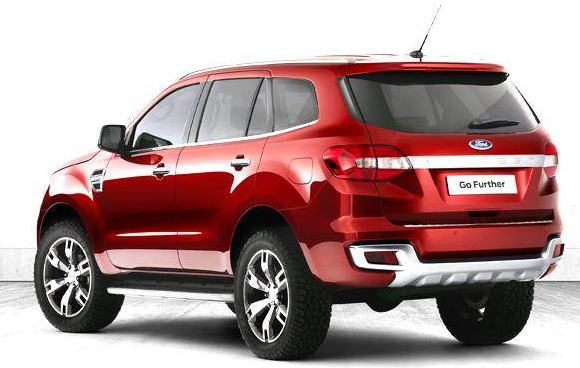 The latest Ford Everest has been launched. This car was launched on 14 November 2014. In India, the SUV went on sale in 2015. 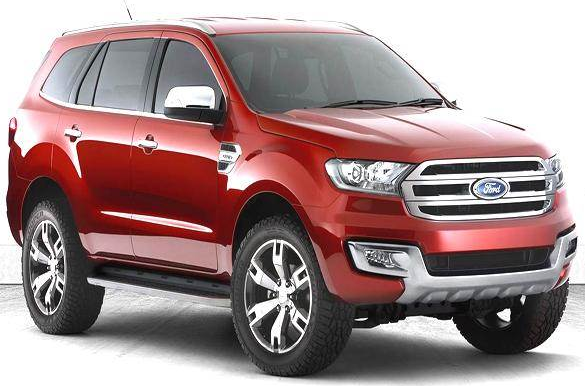 Ford Everest 2015 will be the main rivals of the Toyota Fortuner, Mitsubishi Pajero Sport, Isuzu mu-X, Chevrolet Trailblazer. From the exterior, Everest concept, designed with a slim body shape combines with a bold technical detail. See how designers seem to be able to integrate the headlights are connected with the inverted trapezoidal grille is very interesting. attention with orange color accents (Sunset Flare) are deliberately carried Ford to give the impression of a bold and powerful. Just as the Ford Ranger, which became the base of Everest Concept, a version of the Ranger's passenger car made ​​by Ford Australia design team. Based on the Ford Ranger, you can bet the interior is similar to the Ranger. However, inspiration comes from the F150 Raptor. In the machinery sector, a large SUV is using the 2.5 liter engine to 3.0 liters of diesel and will be sold in a choice of four-wheel and two wheels.